Of course, there are lots of (Free) Keyword Ranking Tools out there and a lot of them are great. There are tools like Jaaxy, Ubersuggest, Keywords Everywhere and many more. All of them fantastic in their own right. However, the best research we can do is for Long Tail Keywords. Long Tail Keywords are a very specific phrase that targets a very specific audience. If someone is typing a 3, 4 or even 5-word search in Google it generally means they are looking for something very specific and are potentially at the point of purchase. Why do these work? Well if you try looking for keywords that are only one or two you will find there is huge competition for these search terms. In order to rank on the search engines, you need low competition to allow you the chance of ranking on page 1. This is where long tail keywords come in! Well, actually in this post I’m going to show you two keyword tools – but not in isolation of each other! These tools will combine to give you the most amazing keyword combinations with truly amazingly low competition and decent monthly searches. A perfect combination that will give you the chance to create endless blog posts with great keywords to boost your traffic. The tools I am going to use today are Keywords Everywhere and Answer the Public. You can check my post on Website Keyword Finders – Best Free Method which shows you how to use Keywords Everywhere. However, for this method you don’t actually need to understand how to use Keywords Everywhere itself – it just adds the data to Answer the Public so you can see the best keywords. With Answer the Public it is just a case of going to the website HERE and starting the searches. Before we can start searching for our great keywords we need to install the Keywords Everywhere Chrome Extension. Hit the Add to Chrome button and the Tool will install. Now there is just one more thing to do to finalize the installation and that is to add your email so they can send you an API Key that will be used in order to use the tool. When you open your email click the link to access your API Key and follow the on-screen instructions. Add the API Key and hit Validate. The screen will then pop up that validation has been successful. Now there is one other thing I like to do within the settings to make things easier when checking our searches later on and that is to ensure the low competition keywords are highlighted. It makes it so much easier as you can basically ignore everything that isn’t highlighted which save a lot of time and effort. Plus you won’t miss all the good stuff!! The scale for competition runs from 0 to 1 with 1 being the highest competition. I typically set my competition for less than 0.2 as this is where you are going to capture low competition keywords. As you can see, the lower competition related keywords are highlighted in green. To access Answer the Public just type it into Google – It will be the top-ranked on the page. Just open it from there. Once the site is open you will be on the home page. Here you can add your keyword – In this case, I have added SEO as my search term. You can view as a visualization, or, if you click the data tab (not shown) at the top left corner of the visualization screen you can change the view to this – keep this in mind for later as the data view is what we will be looking at when used with Keywords Everywhere. As you can see from the image above, there is a list of options (only showing ‘B’ at the moment) that give you some long tail keywords but really mean nothing in its current state. As you can see above, both tools are very good in their own right, but as they stand individually there would still be a lot of work and checking to do to actually find the right keywords to use. However, with Keywords Everywhere Chrome Extension installed, I am going to show you the power of both tools working together and just how easy it is to find great keywords with low competition. Just remember, a lot of information will be on view, this is why the highlighting of the low competition keywords is so important. As you can see now, rather than just seeing a list of terms we now have the search volume and competition highlighted. SEO vs SEM (Search Engine Marketing – effectively paid ads). Good search volume low competition – worth doing a post for sure. SEO vs PPC (Pay per Click) another post that can be considered. Once again we have search terms with good traffic and the competition is low – and its right there in front of you with little additional work. It really is just a case of working through the list and finding the right keywords with traffic and low competition. As the image above shows, a lot of people search meta tags and descriptions each month, but the competition isn’t high. This again is a post all its own to teach someone what they are, why they are used and how important they are. Remember, the only search term I used was ‘SEO’ and there are a lot of ideas generated. I typed ‘Keyword’ in the search. From this search term, I created my ‘Are Keywords Important to SEO‘ post that has had a lot of good feedback. Every header within the post was taken from questions in the Answer the Public search. You should check it out. It’s all there you just need to sift through it all. So there is another really cool feature that you can use to generate a great list and that is the ability to export to a CSV file. But it’s not just a case of exporting, there is a neat little trick that can be used too. You effectively download a list like this that doesn’t really mean anything to you. Whatever page, whatever website you are looking at, Keywords Everywhere will always have Export CSV and Add All Keywords buttons in the bottom right-hand corner of your browser. 1. You have the ability to add all keywords from the page you are looking at and then export to CSV. This is OK and useful but you will download every keyword on the page so it ends up being a big file and you will still have to scroll through everything again. 2. The really neat trick is the ability to highlight everything you like and download it when you are ready. You might notice that the stars are greyed out when you first see the search terms that came up. Simply carry on running through your searches and highlighting the ones you like. When you have completed this you should then click on the Export CSV button at the bottom right of your screen. This will then only export the keywords you chose. Then click on My Favorite Keywords and you will see the following screen with all the keywords you highlighted to download. And there you have it. Two keywords tools used together to give you great results and create lists that will give you good search volume and low competition with the bonus of giving you post ideas for months to come. You could plan out your posts for the next 12 months and take those task away so you can concentrate on other important things. The only point of note with reference is that Answer the Public is free for 5 searches per day. This should be plenty for what you need and lots of ideas will come from 5 searches. If you want more then you will have to pay $99 per month. Personally, I don’t see that as something I would need as I can get all I require from the free search. If this is something that interests you and you are thinking of starting your own blog I will share with you my number 1 recommendation which is Wealthy Affiliate. You can even start your first 2 websites completely free and have access to the first phase of the training. My Wealthy Affiliate Review might help you make your mind up. Alternatively, you can click this banner below and sign up free right away. No credit card required and no BS (this is an affiliate link and if you eventually move to the paid Premium pack then I would receive a small payment at no additional cost to you). I hope this post was of some value to you and if you have any thoughts on the topic, or have any other tools you use to find your keywords then please add a comment below. I will always make sure I reply to all comments. What a great review about Jaaxy – also my favourite keyword tool! Thank you for sharing such an in-depth study – anyone floundering around with Keyword Research absolutely has to know about Jaaxy! Hi Louise, thanks for your kind feedback. I have to agree, Jaaxy is an amazing keyword research tool that should be part of everyone’s arsenal. Am a newbie in website creation and getting traffic has been my major concern. Going through your article I think this is the place for me. And I also wish you can make a YouTube video about it as well since online videos is the next big deal. This is a great post for me, really helpful. Hi Ayodeji, thanks for the feedback and I’m glad you found it helpful. As it happens, I’m just going to start doing videos this weekend for my posts so thank you for pointing that out. You are right, YouTube videos are increasing in popularity for training purposes. Answer The Public tool looks pretty much cool and from your explanation, it is easy to understand and navigate. Since this is another search engine tooI, I would prefer to use Jaxxy instead, because of its simplicity. I don’t find it cool to jump from one SEO tool to the other, it brings a lot of confusion, especially to new bloggers. 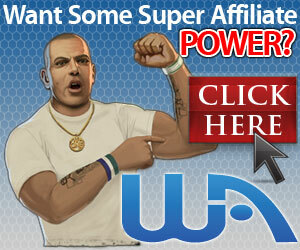 You are right about wealthy affiliate platform, they offer amazing tools to online business owners. Hi, yes I agree Jaaxy is an awesome tool indeed – I use it all the time. The point of the post is to show people there are other methods out there as well. It won’t necessarily confuse them, but it will give them other options. But I understand where you are coming from. I have never combined two keyword research tools before. I make use of answer the public but I have not tried keyword everywhere research tool. It seems really amazing and been able to combine it with answer the public makes it even more awesome. I am going to give it a try and see exactly how it goes. Hi Jay, yes you are right, Answer the Public is awesome – with the addition of keywords everywhere it just makes it so easy to see the data. I’ve been looking for a new free option for keyword research for quite some time now, as my articles on my blog don’t seem to be ranking that well. This is the first time I’ve heard of Keywords Everywhere Chrome Extension and I’m pretty excited about it. How hard is this API key to install? Hi Chris, thanks for the feedback. The API key is easy to install. When you initially install the extension you will be asked to input your email. They will then send you the key. All you have to do then is update the settings in Keywords Everywhere and paste the key in the API box then hit validate – and that’s it. Thank you for this very thorough description of how to combine two keyword tools, highlight, and save the information. The visual option appeals to me and I think it will help me to enjoy the task of searching for keywords. I like the option of saving as a PDF. I am new to blogging (also with Wealthy Affiliate) so I am still learning my way around. Your clear explanations and pictures are very helpful. I use the jaaxy search tool and I wonder, do you use that as well? Hi Theresa, thanks for your comments. I’m glad you enjoyed the post – it’s one of many options for keyword research. In answer to your question, yes I use Jaaxy. It’s actually my number one choice for keyword research and as you are new to blogging, I would definitely recommend you stick with Jaaxy to start with. Wow this post is amazing. I have got so much value from reading every part of it and it took me some time because I followed some of the links and then came back to it. Keyword research is an area in which I think I have been slack in. I have done it using Jaaxy but now I know other sites like keywords everywhere . It is 12 :15 am and reading this post has got me so hyped and wanting to do more keyword research when I should be going to bed. Finding great keywords is an essential part of ranking on Google. You might call it the foundations of your website, it is that important. Thank you so much for putting this out there. I know I will be referring to it often. Hi Judy, thanks for your kind feedback, and sorry I’ve disturbed your sleep ha! ha! I’m glad the post was of use to you, that makes me happy to know I am helping others. I do use Jaaxy as my first choice as well because it’s so good, but it’s great to change things up now and again to look at things from another angle. All the best with your keyword research. Thanks for the article. I actually learned a lot of things that I didn’t read anywhere else. For example the usage of that plugin for Chrome I didn’t really know about before and I am just now about to explore the benefits. Do you have any clue if Jaaxy is a good keyword tool? I believe that system can offer the search of all these keywords much faster. I also noticed a little mistake in your first story about long-tail keywords. Long tail keywords have nothing to do with the amount of words in the actual keyword. Although often long tail keywords also contain multiple words, it is not a rule generally speaking. The high tail keywords are keywords that have a high search volume and are very popular, but super difficult to rank for. We should stick to the low hanging fruit and long-tail keywords (descriptive keywords) that are easy to rank for and many to write for. Hi Steven, thanks for the great feedback. I would say that Jaaxy is one of the best tools out there today. There are so many functions other than the keyword search. I’m currently writing a post on all the functions of Jaaxy which should be live in the next couple of days – it’s going to be a long one so I’m also going to try and do a video to accompany it. You are correct to highlight my statement about long tail keywords – I have explained it very poorly in my post. I will go back and update that so thanks for pointing it out.